Yerbol K. Jangabulov is currently pursuing his Master’s degree in Supply Chain and Project Management at Kazakh-BritishTechnical University (KBTU, Almaty, Kazakhstan) for the academic year 2017-2018. He holds a BS degree in Economics at Kazakh University of railways (Almaty, Kazakhstan), where he studied from 2006-2008. He also studied at Zhezkazgan University named after academician O.Baikonurov from 1996-2001, specializing in Underground mining of mineral deposits, qualification-mining engineer. From 2011 to 2017 Yerbol worked as the head of the estimate and contract department in the construction corporation «MAG» JSC, Astana. From 2016 to 2018 he worked as the Project Manager of «Vitality Stroy» LLP, Astana. Since 2017-2018, he also worked as an expert in the expertise of construction projects and estimates in «Complect Service Astana» LLP. Since October 2018 he starts working in the project team of the world-class company KAZ Minerals PLC, in position - Quantity Surveyor. 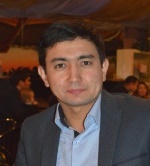 Research interests: Project Management in Kazakhstan, Project Management Maturity Level in Kazakhstan, Construction and Engineering Management, Earned value management, Stakeholders Management, Projects execution and control, Supply chain and logistics management, Scheduling and planning in construction. To see Mr. Jangabulov’s more detailed CV, click here. Share the post "Yerbol Jangabulov"